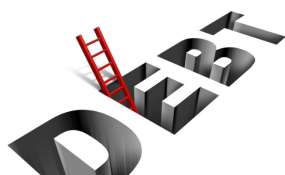 Kenya's public debt has for the first time exceeded the Sh4.5 trillion mark, reflecting the Jubilee government's increasing appetite for loans despite recent warnings over the pace at which the debt is accumulating. The Treasury's latest Quarterly Economic and Budgetary Review report indicates that total public debt stood at Sh4.57 trillion at the end of December 2017 as the build-up of massive borrowing that began five years ago continued unabated. "The gross public debt increased by Sh746.7 billion, from Sh3.82 trillion as at end of December 2016 to Sh4.57 trillion by December 31, 2017," says the Treasury in its latest public debt report. The mountain of debt comprises of 51.9 per cent of foreign loans and 48.1 per cent of domestic loans and does not include recent borrowings, such as last week's Sh210 billion Eurobond. "The overall increase is attributed to increased external debt mainly arising from exchange rate fluctuations and, disbursements from external loans debt during the period," says the Treasury. Concern over Kenya's debt load is mainly hinged on the fact that its rate of increase is way ahead of revenue growth, indicating the widening gap and mounting pressure on the government's capacity to repay loans. "Ordinary revenue collection was Sh656.9 billion against a target of Sh701.7 billion an under performance of Sh44.8 billion," says Treasury. "We advise government to work towards reducing debt," Jan Mikkelsen, the IMF resident representative to Kenya, told Parliament last week as he warned that the debt is approaching "unstainable levels". The Treasury last week shrugged off a ratings downgrade and loss of access to an IMF standby credit facility to raise a Sh202 billion ($2 billion) Eurobond in what the government said is a show of confidence in Kenya's credit worthiness. "We urge that Budget and Appropriations Committee of the National Assembly sets out clear mechanisms on austerity measures, value for money, outlawing supplementary budgets as well as ensuring that government lives within its' means," said Consumer Federation of Kenya (Cofek) secretary-general Stephen Mutoro. "I want to assure Kenyans that at no point has the country been at risk of default," said President Uhuru Kenyatta in March last year.